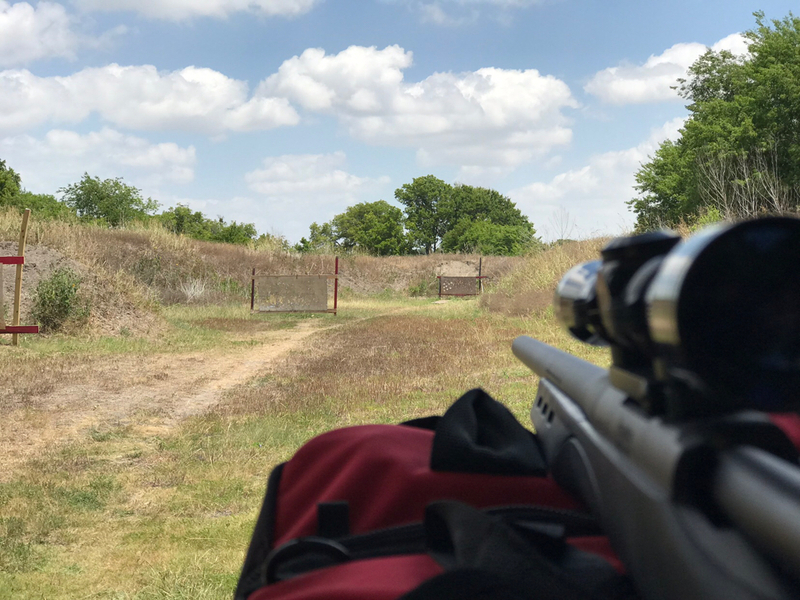 I originally started posting in the long range hunting forum but this seemed like the best place to go. The point of impact is starting to settle down. Load is 147gr fmjbt 49.5gr cfe223 mixed brass cci primers. Really enjoy shooting this rifle. I really hate the stock. If anyone has any old Remington adl stocks in s/a laying around drop me a line. I’d like to see if I could rasp it out to fit. I’d bed the recoil lug and add pillars. Looking at a fxII in 6x but not till I get my present system more consistent with what I have. I know the potential is there. This is the first 2 shots of the day at 50 to check zero. The rest were at 100 yards. Last edited by Trigger308; 06-29-2018 at 11:59 PM. Trigger308 - you mentioned possibly posting to a hunting forum - so is your intention to make your rifle accurate enough for hunting as the primary function? I noticed you weren't shooting at "targets" in the traditional sense, but rather something you could still see at 100 yards with your 4X scope. 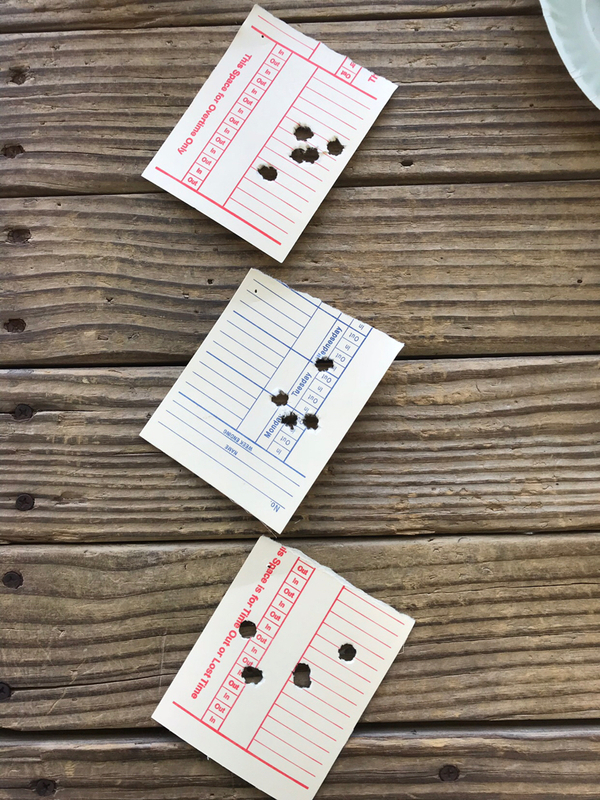 4X-6X is sufficient for hunting game with a say a 9" vitals area, assuming that the rifle is properly sighted in and the ammunition is consistent. So could you say what your final goal is? Or are you just looking for a stock? Loading a 147gr FMJ with mixed Brass is going to be > 1 MOA. Also with 4x and no specific aiming point you have decent accuracy. As for the stock the ADL has a blind magazine. The only Remington stocks are going to be like what you have unless you change to a BDL by changing the bottom metal. If you want to test the accuracy of the rig as is, get some Federal Gold Metal Match 168 gr ammo. My aiming point is the bottom corner of each square. Has worked before. Really well with iron sights. Dead on at 50 is usually 2 inches high at 100, well usually. 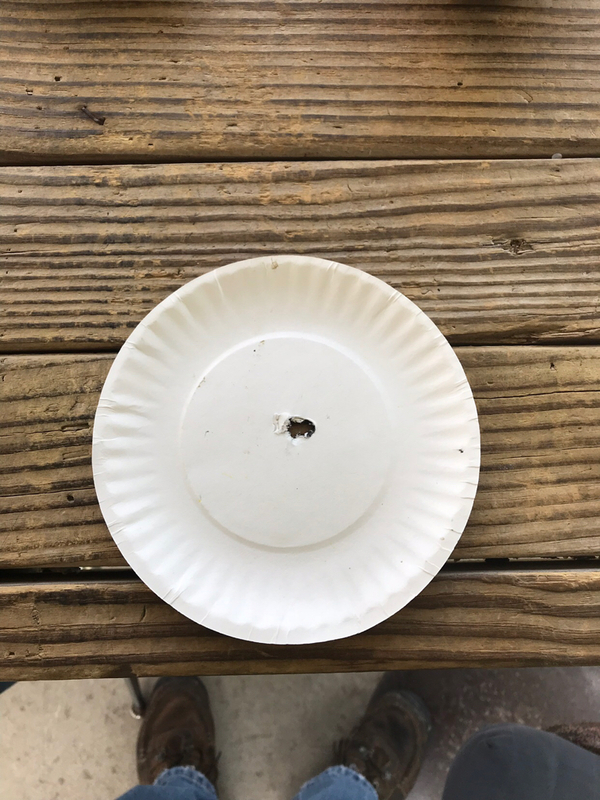 The one in the center of paper plate was aiming at the hole I just made. I’ll look at printing actual targets next time. But seeing how the bottom corner is really well contrasted from the back board I think I’ll get the same results. Already posted to that forum by accident. This rifle is intended to be a way to stretch my legs to shoot farther than I have before. Not just hunting. Last edited by Trigger308; 01-25-2019 at 08:36 AM. I’m in the middle of loading 113 rounds of .308win 147gr fmjbt pulled bullets with 49.5 gr of cfe223 powder and mixed brass. Haven’t shot the .308 in about 15 years. I really like the .308 over the .270 I have been using. It has over 1300 rounds with 100 of those being the only factory rounds it’s fired. I bought the rem 700 adl .308 rifle to get me to 800 yards and learn to reload the .308win. The 4x scope was the only scope in the safe that I had that wasn’t on a rifle at this time so it’s on there. It was on the .270 for a time getting sub moa 3 shot groups at 100 yards. 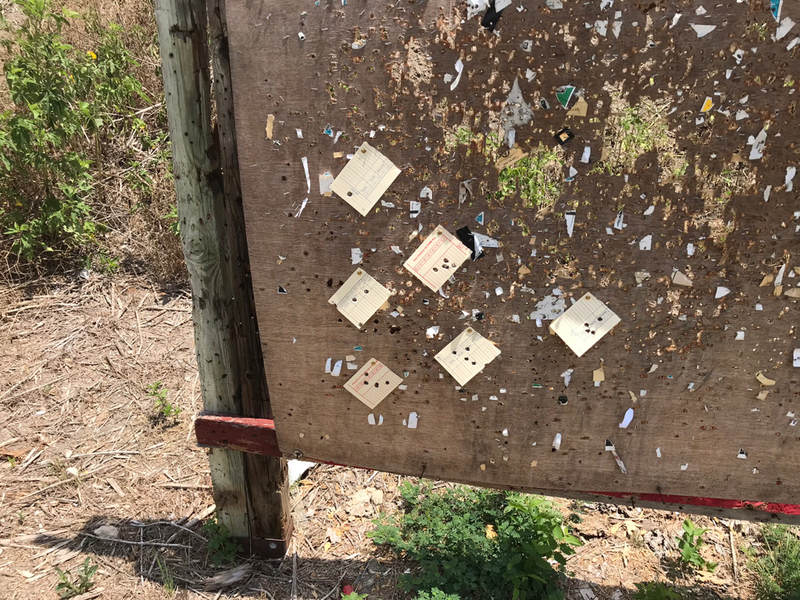 Using 147 gr pulled bullets (cheap) to throw some lead down range is not a bad idea. The neater 165 gr bullets in this caliber had a higher price point that wouldn’t have allowed me to buy 500 to play with. This rifle in its condition as is, is really cute. I’m on a journey with this rifle. It will grow as I get better with it. Next maybe a 6x or a 10x. Maybe a Magpul or mdt chassis system. This is the rifle I should have purchased 20 years ago,but didn’t cause I listened to all my hunter friends. They said it’s too heavy, or the .270 is like a magnum. 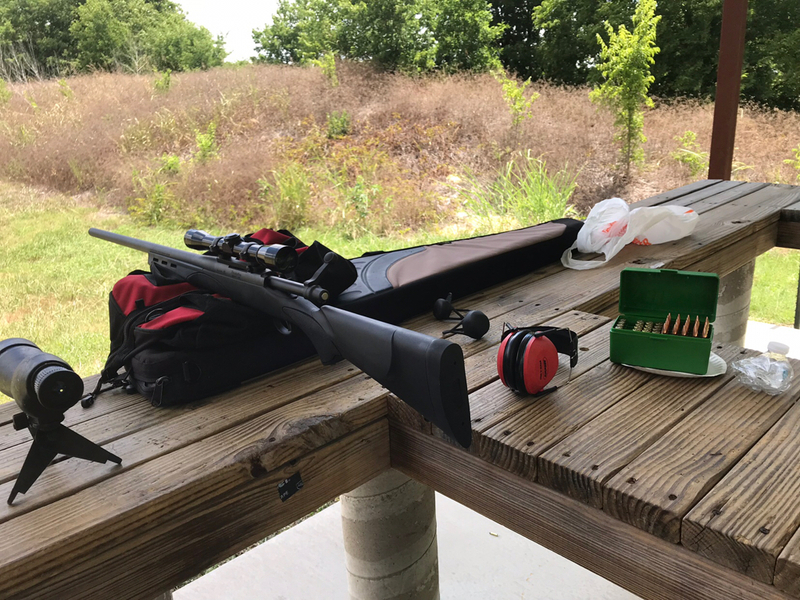 As soon as I fired the first 5 shots of .308 at 50 yards, the light thump on my shoulder and the small 1 hole group at 50 only reinforced the direction I’ve chosen to take with this rifle. Shooting with a fixed 4x with a rifle like this will make me better when I get the new scope. I have a friend who has an ar with a fixed 3.5 scope and he gets 3 inch groups at 300. I’m not sticking to a fixed plan, I’m gonna let the rifle tell me what it wants to go out further. My .308 shoots under 5" groups at 1,000 yards. Not as tight as my 6.5x47 Lapua, but probably could do better if I was a better wind reader. Mixed brass is going to be a problem at 800 yards. See if you can put together 20 cases that are identical and then make them your test brass. Trim them to all to the length of the shortest one, assuming that it is not under Sammi specs, clean and uniform the primer pockets, chamfer the flash hole inside and out, clean the flash hole, chamfer the necks and then you have something to really work with. If you have a lot more of the same brand, after cleaning and trimming, at least weight them and take the 20 closest in weight as an APPROXIMATION of case capacity. I have yet to find a consistent way to use liquid to check the internal capacity, but you can try some other methods. Weight and sort your projectiles and group them by variation. Last edited by rkittine; 08-05-2018 at 08:37 AM. Trigger308 and DRAGON64 like this. I have an old 40x repeater in .308. It will do 3 inches give or take a little at 500 yards with good weighted brass , sierra 175 mk a fed match primer and 41.5 grains of H4895. You can play with your seating depth a bit , and maybe adjust the powder weight a little. This load will shoot very good in all my .308's. Varget is also doing well. I used a berger 190 vld with IMR 4064 in Palma matches and at Camp Perry . The gun shot really well out at a 1000 yards with this load . That gun was a 40X with a hart bbl in 1 in 11 I/2 twist. 308's will shoot a number of powders well . I used Rem small primer cases back then at 600 and out , and they improved my scores somewhat .